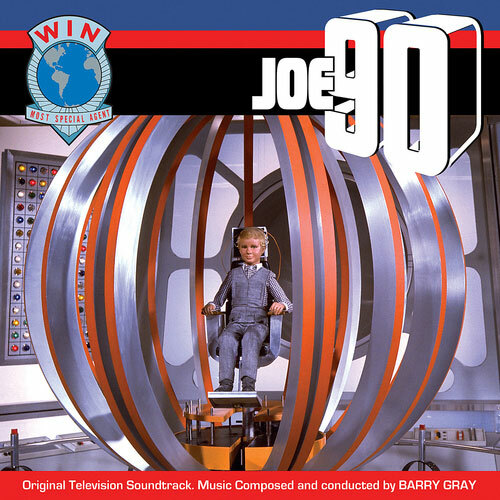 Music composed by Barry Gray composer of the themes and incidental music to Gerry Anderson’s previous series from Four Feather Falls to Captain Scarlet And The Mysterons, Thunderbirds as well as The Secret Service, UFO, Doppelgänger and Space:1999 (Year One). The series follows the adventures of Joe McClaine, a 9-year-old boy whose adoptive father has developed a method of transferring specialist “brain patterns”, and hence skills, into his son’s mind. This release was a technological leap for Gerry Anderson puppet productions with hi-tech action, character driven plots and the music recorded in stereo.